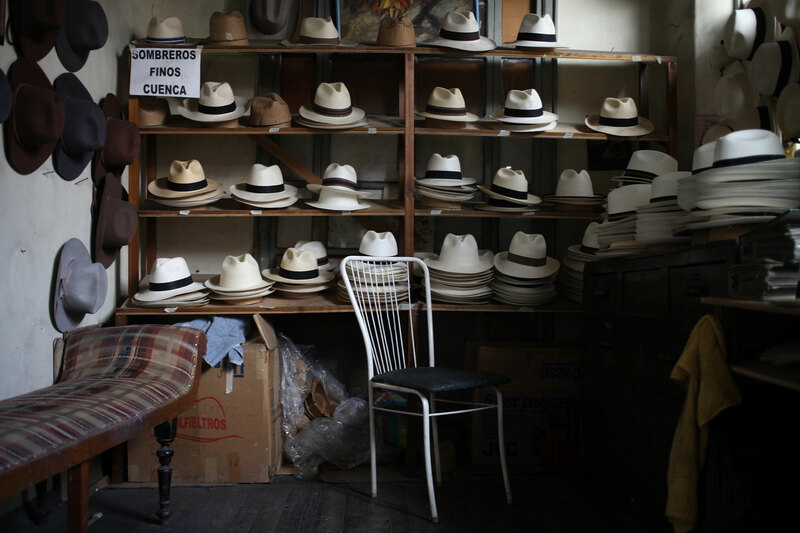 Approximately four years ago I had the great pleasure of meeting the great ‘Panama Hat’ maker Alberto Pulla. Panama Canal and Theodore Roosevelt was photographed wearing one when he visited the canal. 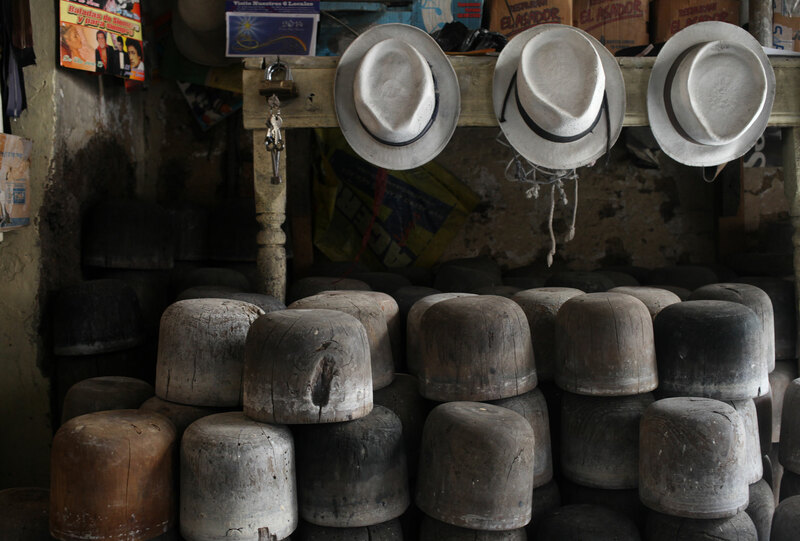 It was because of this and a few other twists of fate that they became known the world over as ‘Panama Hats’. 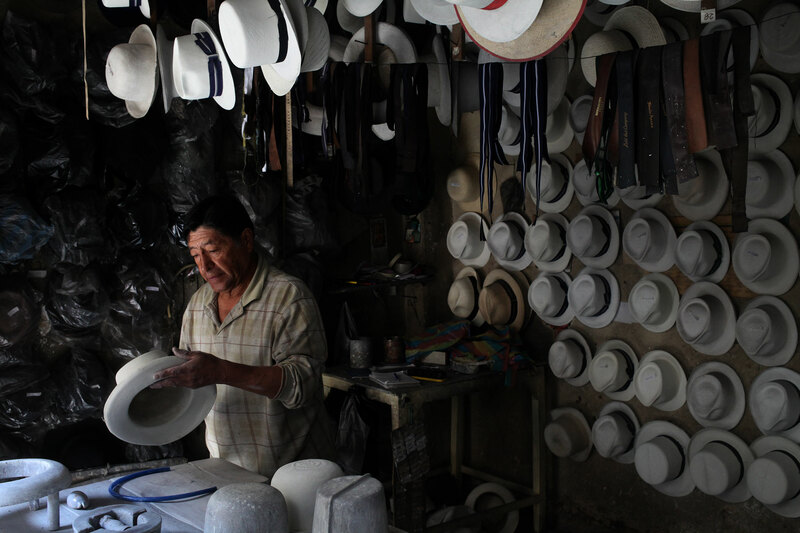 Alberto Pulla started making Panama Hats when he was just a child and the harsh chemicals they once used in the production of the hats cost him his voice, but not his smile or his kindness. By the time I met him he was a frail man that mouthed words, but primarily relied on sketching notes back and forth with tourists to communicate. I wasn’t nearly as comfortable with my Spanish back then so I was absolutely terrified of Mr. Pulla even though the special old-worldness of his shop was not lost on me. As Nathaniel and I trickled our way south I told him about the shop and he decided he wanted to buy a hat from Mr. Pulla. 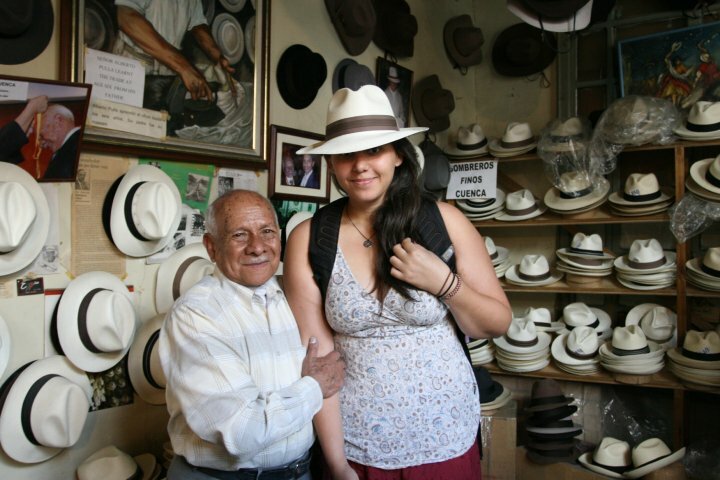 Unfortunately when we were just a few days from Cuenca I learned online the famous hatter had passed away. 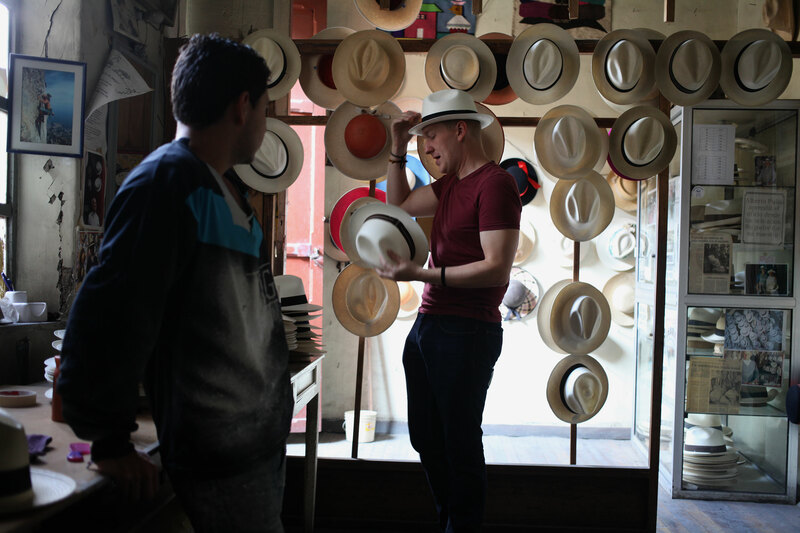 Sad but undeterred – we spent an extra day in Cuenca to vist Casa Del Sombrero (they are closed on the weekends) so that Nathaniel could get his hat. The shop hadn’t changed since I last saw it, it’s an absolute time capsule and I find that a special quality to be treasured in today’s world. welcome to Peru, my dear.